This new revolver from ASG features the six inch Schofield pattern. 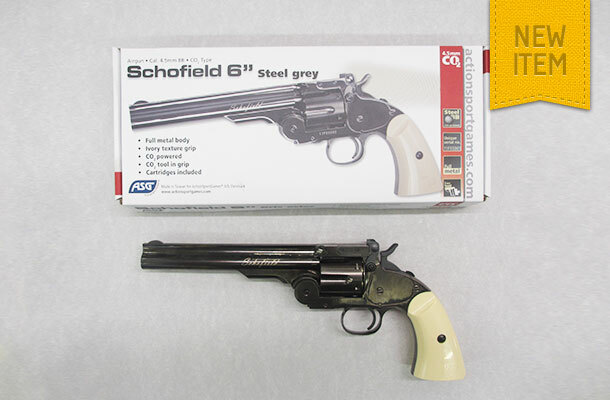 The “Full Metal Body” is finished in “Steel Grey” whilst the handle is fitted with simulated ivory grips. This six shot 4.5 mm BB firing pistol will produce a muzzle velocity of up to 420 feet per second.